Bob Smith, et al. wrote:Modern appliances are complex machines with processors, operating systems, and application software. 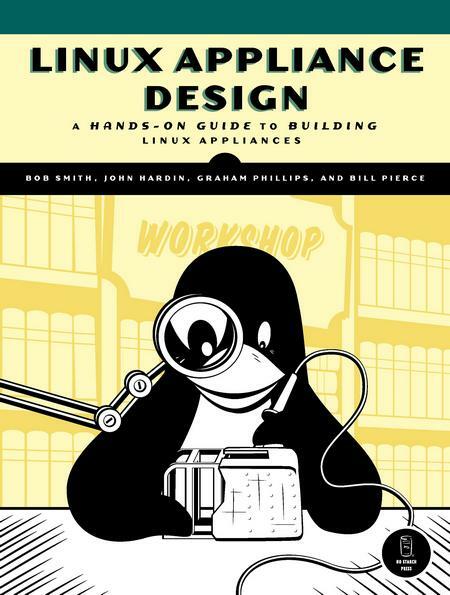 While there are books that will tell you how to run Linux on embedded hardwae, and books on how to build a Linux application, Linux Appliance Design is the first book to demonstrate how to merge the two and create a Linux appliance. You'll see for yourself why Linux is the embedded operating system of choice for low-cost development and a fast time to market. Linux Appliance Design shows how to build better appliances-appliances with more types of interfaces, more dynamic interfaces, and better debugged interfaces. You'll learn how to build backend daemons, handle asynchronous events, and connect various user interfaces (including web, framebuffers, infrared control, SNMP, and front panels) to these processes for remote configuration and control. Linux Appliance Design also introduces the Run-Time Access library, which provides a uniform mechanism for user interfaces to communicate with daemons. John Hardin worked for various Silicon Valley tech companies in his 40 year career, from startups to a large multinational (Hewlett Packard). His various projects include developing an object registration system for HP Openview, providing the interactive interface and predictive software for Clairvoyant Software's capacity planning system for ISPs, leading the Distributed Sniffer development at Network General, and developing the SNMP MIB and agent software for Venturi Wireless. Bob Smith is an electronics hobbyist who does circuit design (Eagle, Altium) and embedded Linux software. His current project is an FPGA defined robot controller with a Linux interface. You can find his current work at http://demandperipherals.com.